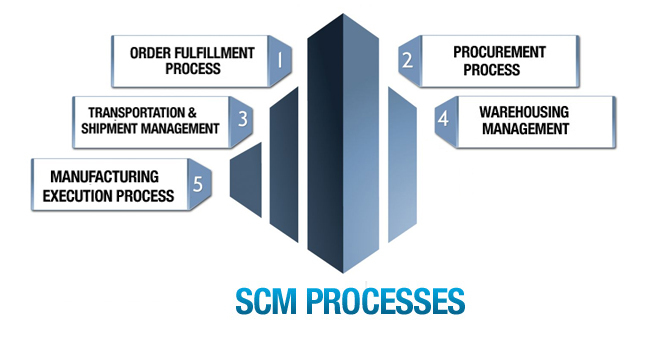 Supply chain management (SCM) ERP includes all the activities that take place to get a product in hands. This module focuses on planning & forecasting, purchasing, production, transportation, storage and distribution, and keeping track of products as they flow toward you and other consumers. Supply chain management (SCM) ERP manages the supplier relationships by collecting, storing, and analyzing supplier information. It supports the management and movement of raw materials, Inventory, and finished goods. ERP has strong supply chain management knowledge across a variety of industries in both manufacturing and wholesale distribution environments. We help to use information, improve key supply chain processes—from design, planning, and procurement to manufacturing and fulfillment. With supply chain management software you can create information-driven value chains that enable you to predict market requirements & risks, adapt and innovate in response to unstable market conditions. Supply chain management software ensures reliability, enabling you to manage products with increased quality assurance. We enable collaboration, planning, execution, and coordination of the entire supply network, empowering the organization to adapt its supply chain processes to an ever-changing competitive environment. With our extensive industry knowledge and experience in management consulting, systems integration and IT & business process outsourcing, we can deliver end-to-end services for large-scale global supply chain transformations and targeted project support.